Eyeliner is the easiest way to enhance the beauty of the eyes. It will only take minutes to assess your eye shape and discuss your width and color preferences. Whether you want liner on just the top, or both the top and bottom, is entirely up to YOU. “Subtle and Natural” or “Smoldering and Dramatic” can be done. A top-of-the line topical anesthetic is used to reduce discomfort. We will only proceed once the shape and color is approved by YOU. You are in complete control of your Permanent Eyeliner treatment. 1. Have difficulty applying eyeliner because of poor sight or unsteady hands. 2. Those allergic to regular eye makeup, which can cause eyes to water or itch. 3. Those with thin or non-existent lashes. 4. Have trouble finding eyeliner that won’t smudge or fade away. 5. Want to look years younger. Many women feel uncomfortable with “naked” eyes. If you’re one of those who wake up in the morning and run to the mirror to put on eyeliner and mascara, you’re not alone! 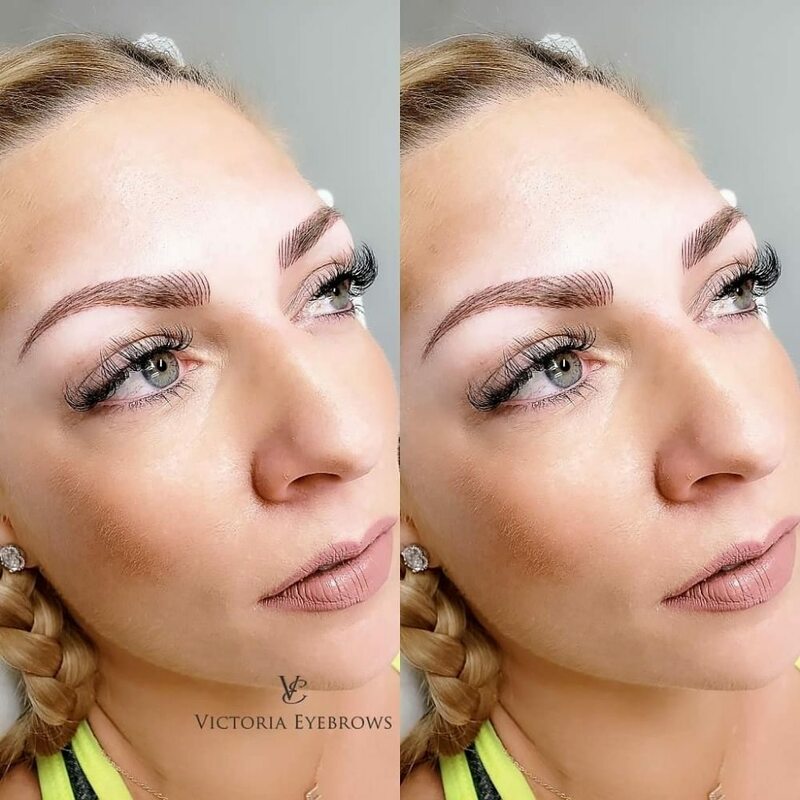 Victoria can provide a solution: Alluring and striking eyes, customized just the way you want them, that last 24/7! Permanent perfection!